Central to Da Gama Maritime’s navigation management operations is the supply and delivery of charts and publications to all vessels around the world and for this to be achieved with speed and accuracy, ensuring ISM legislation compliance at all times. With our account managers being professional mariners themselves with navigational backgrounds, they understand the requirements of what is and is not required at sea on the bridge so they can provide the most accurate detail to you. Whether you're simply looking to buy a single chart for your vessel or need an entire set-up for a fleet of ships, our team are highly knowledgeable and ready to discuss the best possible options and cost efficient ways to support you. 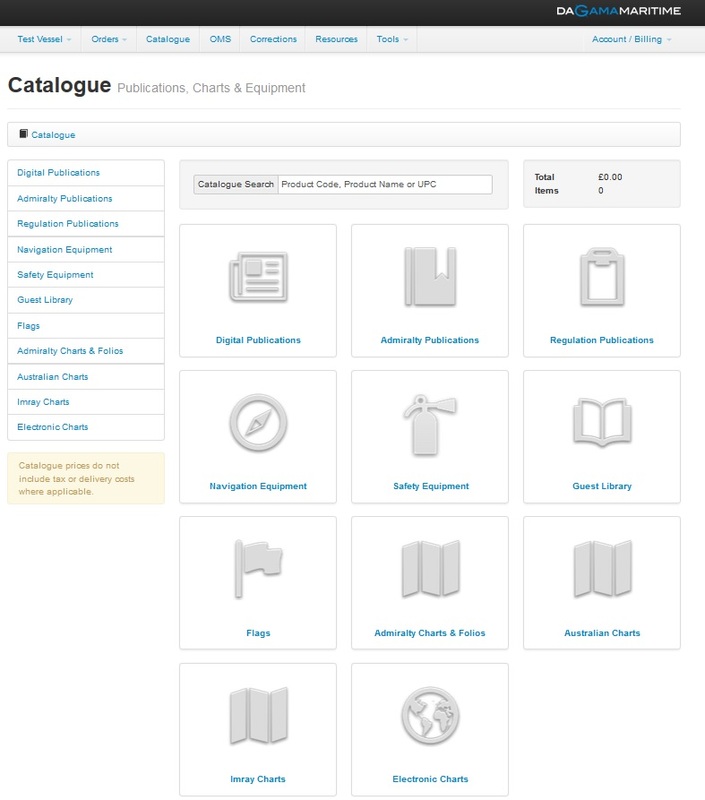 We provide all the latest, corrected paper and electronic charts, licences and publications from all leading publishers plus guest and crew library publications of interest all of which can be purchased through our on-line catalogue. For those wishing to save space on board, we can accept your paper charts into our Chart Maintenance Unit for safe keeping. Working with some of the most experienced correctors in the industry, you can decide when you'd like the charts returned back on board and if required, they can be updated before being sent to you. A fee is applicable for the updating service.